Dell Server Parts. Server - Hard Drives. Server - Processors. HP Server Parts. Rack & Rail Kits. ServerPartsFast is an independent distributor of servers and components located in Atlanta, Georgia. Don't ask for it. New Dell Poweredge R720XD 2.5" Rear Flex Bay 2 Drive Backplane 00JDG3 with 4 Cables, which will help to upgrades your R720xd 3.5" server. 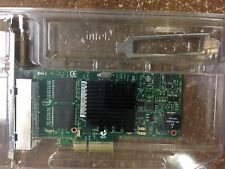 1 xREAR FLEX BAY 2.5" HDD Backplane Board00JDG3. 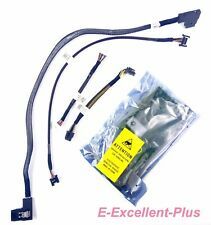 1 x 15" Rear Backplane Cable, 097J8N. PowerEdge Tower Servers. It is our goal to help you in every step of purchasing a server from us. Once an order has been paid, we will test the server and apply any BIOS updates necessary. Processors (CPU). CONDITION: New in Dell Boxes. NEW and Original HP Drive Tray Caddy 2.5" Smart G8 G9. For Hp Servers G8 and G9. SAS SATA w/Screws P/N 651687-001. HP Smart Drive tray caddy 2.5". HP Servers and storage. This part have a part number specific. USED OEM HP Proliant 651314-001 Gen8 / Gen9 LFF Large Form Factor 3.5" SATA / SAS drive Tray / Caddy. MANUFACTURER : HP. These trays are used and pulled from production systems. Revisions can range from 1.009 - 1.011. 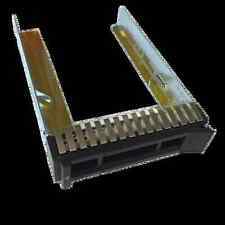 NEW and Original HP Drive Tray Caddy 2.5" Smart G8 G9. For Hp Servers G8 and G9. HP Smart Drive tray caddy 2.5". HP Servers and storage. This part have a part number specific. You can NOT go by the model or serial number alone! Rail kit part number J643G. Dell Static ReadyRails for PowerEdge R610 & R710. Static rails allow the Dell PowerEdge R610 or R710 servers to be installed in a variety of racks. Fits the PowerEdge R710 or R610 servers as well as the NX3000, DX6000 & FS7500. Complete A1 (N915J, R137J) Ready Rail Set. You Will Not Receive ABOUT AVRITEK. Compatibility: HP DL360 G4 G5, G6 and G7 Servers. Rack & Rail Kits. HP Server Parts. Included: Outer Left(364676-001) and Outer Right(364686-001) and Inner Pair(364678-001) Rails. This kit do not include any other parts or accesories. Compatible Server Models Dell R520 R720. Compatible With Dell R520 R720. Dell PowerEdge. WARRANTY INFORMATION. Power Supplies. Hard Drives. Aspect Ratio. Screen Size (diagonal). Processor Model P242J M997J. Model P242J M997J. Dell PowerEdge R710. Dell PowerEdge R720. Dell PowerEdge R620. Dell PowerEdge R420. Dell PowerEdge R610. Dell PowerEdge R410. Trending at $84.00eBay determines this price through a machine learned model of the product's sale prices within the last 90 days. PowerEdge R220, R320, R420, R520, R620, R720, R720xd, R820, R920. iDRAC7 port card is NOT included. However, iDRAC port Card provides dedicated NIC and vFlash functionality (fast polling for quick and smooth power capping). 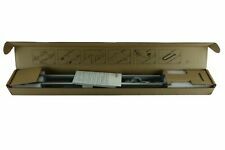 Dell PowerEdge R410 Server 1U Sliding Rapid Rail Kit 1HGRH1 - Set of Rails ( Inner & Outer) (Left & Right). 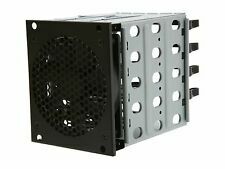 This is compatible with Dell R310, R410 and R415. So any other details would have to be answered by the manufacturer based on the serial number and or part number we are providing. Processor Model 0T421M. Model 0T421M. Dell PowerEdge R610. Dell PowerEdge R720. Dell PowerEdge R620. Dell PowerEdge R420. Dell PowerEdge R710. Dell PowerEdge R410. INCLUDES: backplane and cables. It's made to last and it's truly the largest difference between the stuff you "can get" and the stuff you must have to change the way you compute. If it's not in the pictures, it's probably not included. New PowerEdge R720XD 3.5" x 12 bay empty chassis. DELL Poweredge R720XD 2U rackmount chassis. Power up the server & go. GWTK4 - MB to backplane signal cable. 123W8 - 2x Motherboard to backplane power cable. It does NOT expire and never needs to be renewed. Processor Model R137J N915J. Model R137J N915J. Compatible Server Models Dell R610. Compatible With Dell R610. Form Factor 1U. Form-Factor 1U. Form-Factor 1U″. Dell PowerEdge. G176J / 0G176J / G281D / 0G281D / KG7NR / 0KG7NR / WX387 / 0WX387. 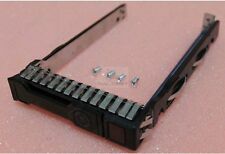 G176J 2.5" SAS/SATA HDD Hard Drive Tray Caddy for DELL R610 R710 R410 R510 T710. 1x G176J 2.5" Tray Caddy. PowerVault MD1120, MD1220, MD3220, MD3220i, MD3620i, MD3620f. 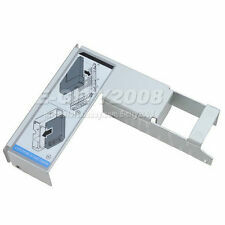 Compatible With Dell MD1200, MD1220, M3200, M3220. Static Server Readyrails, 2U, B9. Date Code Unknown. New In Box. This is a very common rail kit for most SuperMicro 2U/3U/4U chassis manufactured in the last couple years. MPN 9RFVV RK1KT. Rack & Rail Kits. Dell Server Parts. Type Rapid Rails. Item Information: - Rails - 28552 qid: 38776. ServerPartsFast is an independent distributor of servers and components located in Atlanta, Georgia. PowerEdge R220, R320, R420, R520, R620, R720, R720xd, R820, R920. This product is compatible with Dell 12th generation of PowerEdge, PowerVault Server, and Dell Compellent systems such as the following. This is for LFF 3.5", not 2.5" SFF. This is caddy only, no hard drive. 4 screws attached with every caddy. Dell 3.5" 0F238F SAS SATA Tray Caddy. 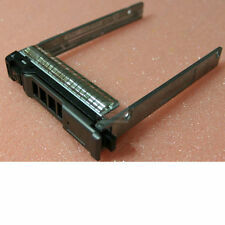 Dell P/N: 0F238F compatible with 0G302D, 0X968D. For 2.5" hard disk on this 3.5" caddy, use this bracket 4x screws are attached to every tray. Dell P/N: G176J 0G176J Compatible with 8FKXC 08FKXC. Laptop Hard Drive Cover Caddy. 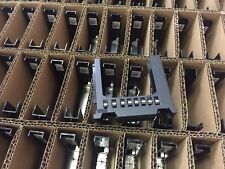 NEW 100% Original Genuine Dell 2.5" SATA SAS Tray Caddy. ADD TO FAVS. new arrival. 4- FR Envelope. PowerVault NX200, NX300, NX3000, NX3100, NX3200. HP DL380 G7 Rack Mount Inner &. Proliant DL380 G6 & G7 series. 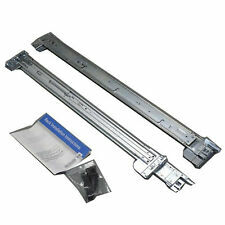 Outer SFF Rail Kit 487244-001 487610-001. Proliant DL385 G6 & G7 series. Notes You will receive 2 outer rails along with 2 inner rails. DELL Part # 81RK6. PowerEdge T320. And regardless of OS or hypervisor presence or state. PowerEdge R320. PowerEdge R420. PowerEdge R520. The Integrated Dell. Port Card provides dedicated NIC and vFlash functionality. Type DL380 G7 Rails. Rack & Rail Kits. HP Server Parts. Item Information: BY-A-44 - Rails - 19040 qid: 21916. 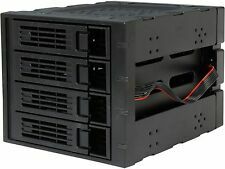 ServerPartsFast is an independent distributor of servers and components located in Atlanta, Georgia. 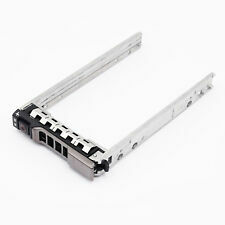 HP 511784-001 3.5" HDD Cage Backplane. Device Type 6 Slot 3.5" HDD Cage and Backplane. and SAS Cables 511787-001 for ML350 G6. Compatibility ML350 G6. Cables, Cords & Adapters. Note: Sold with 2x Cables. Trending at $85.32eBay determines this price through a machine learned model of the product's sale prices within the last 90 days. 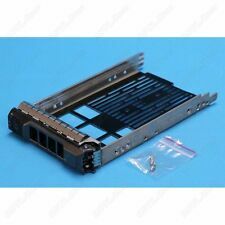 ML350G5 SAS/SATA Backplane 3.5″ LFF Cage. 3.5″ LFF Cage. HP 413986-001 ML350G5 SAS/SATA Backplane. Product InfoDrive Cage. ModelML350 G5. HP 413986-001. Dell part number: 6RTCR. Fits the PowerEdge R620 R420 R630. Right sliding rail. Left sliding rail. pls choose the first one. Remarks: any problem will be solved quickly if you choose the first reason. 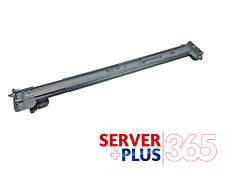 Dell PowerEdge R410 Server 1U Sliding Rapid Rail Kit P8N8P - Set of Rails (Inner & Outer) (Left & Right). PowerEdge R130, R230, R330, R430, R530, R630, R730, R730xd, R830, R930 13 Gen Server. It does NOT expire and never needs to be renewed. PowerEdge T130, T230, T330, T430, T630. PK and Two Factor Authentication. 3rd Party maintenance. Remote Syslog. Directory Services support. Virtual flash partitions. Millisecond power capping and platform power monitoring. Boot capture. Crash video playback. NEW and Original HP Drive Tray Caddy 3.5" Smart G8 G9. For Hp Servers G8 and G9. SAS SATA w/Screws P/N 651315-001. HP Smart Drive tray caddy 3.5". HP Servers and storage. This part have a part number specific. Dell P/N: 08RFGM compatible with R720 0TFV72. Dell R730 R720 R520 R820 Front Bezel Cover with Key. Once an order has been paid, we will test the server and apply any BIOS updates necessary. It is our goal to help you in every step of purchasing a server from us. Other Rack Servers. Server Essentials. Rack & Rail Kits. Dell Server Parts. Type Rapid Rails. ServerPartsFast is an independent distributor of servers and components located in Atlanta, Georgia. Don't ask for it. We have inventory beyond what is listed, feel free to ask about other parts. PowerEdge Tower Servers. It is our goal to help you in every step of purchasing a server from us. Once an order has been paid, we will test the server and apply any BIOS updates necessary. Helpful Links.